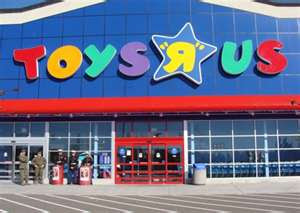 $55 Toys R Us Gift Card 6-Hour FLASH Giveaway!!! 6-Hour FLASH Giveaway!! Check out them out through their Facebook pages when you have time! *NOTE: You can choose PayPal/Amazon GC in substitution of the Toys R Us GC. My daughter loves anything dog-related. She has her eye on a little dog that comes with a Barbie and swims. My son always asks for video games. Thanks for the chance to win!